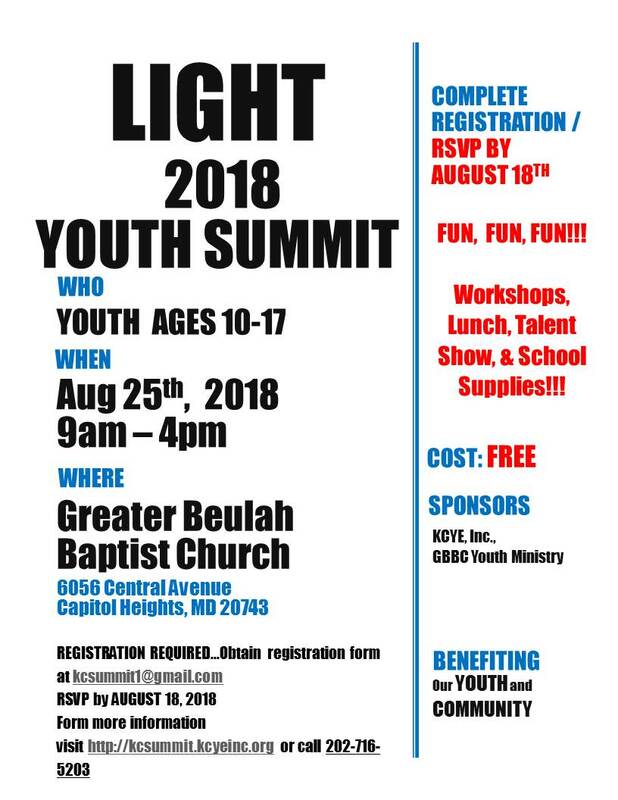 Kingdom Citizens Youth Empowerment, Inc. teams up with the Greater Beulah Community Development Center, Inc. to present its eighth annual Back to School Youth Summit. This year, we will have break-out sessions, a youth-led panel discussion, and talent show! Featured session titles include: This Is America, Walk It Talk It, and Vibranium. © 2019 Greater Beulah Baptist Church All Rights Reserved.